Whilst at lunch, I so happen to stop by the Best Buy near my office (Union Square, in NYC), and they had a kiosk up with a PS4, ready and waiting for customers to try out. The Best Buy person dude was there, sort of explaining it to people that didn’t know, and a couple of dudes watching the videos that were playing. One of the dudes, grabs the controller and fired up the Knack Demo. I quickly took the unboxing video, and now we have to dub it, and do all this other stuff. We also will try to get it to work with our PS3, as some reports state. On super early impressions, it feels good, a bit bigger than the DS3, and a bit heftier, but not uncomfortable. It does feel more ergonomic in the hands. Shoulder buttons feel better placed and the analogs feel that much tighter. The touchpad, can also be pressed, which I didn’t know. In any case, here’s a quick comparo pic with my pretty dirty DS3. We just picked up our very own dual shock 4 for Sony‘s upcoming PlayStation 4. We will have a hands on impressions up soon. Stay tuned. It just started, and I am currently trying to watch it. Stream is a bit choppy though. I will be updating this as news comes in. I will keep you all posted. You all can follow along here. Update 1: Sony dude is starting off with the PS Vita. We want PS4!!! Update 2: Looks like they are bringing out God of War HD, FF X and FFX X-II, and Flower remakes on the Vita. They also announced Batman: Arkham Origins, and Killzone to name a few. Update 3: PS3 now, and they are kicking it off with Naughty Dog‘s The Last of Us which drops tomorrow. Stream is really choppy. Update 4: Puppeteer looks amazing! Update 5: Game with Willem Dafoe with a female protagonist…Beyond 2 Souls. Looks dope! Now they are showing GT6. Update 6: So CHOPPY! I can see some new cool cars for GT6, the Nissan Delta wing for one. Graphics looks amazing. We will try to post up any of these trailers later on. Now he’s talking about Last of Us and all the accolades it has received thus far. Update 7: Looks like Batman: Arkham Origins. Can’t stand this choppy stream! Update 8: PS exclusive for Batman, Nightwing skin as well as a 1960’s Skin. GTA: V PS3 bundle also announced as well as a GTA: V Pulse headset special edition. Update 9: FINALLY PS4!!! Andrew House just went on stage. 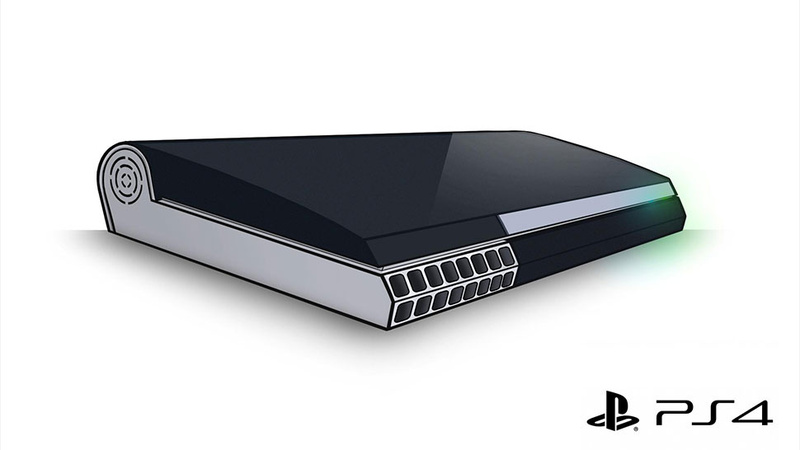 Update 10: They just revealed the PS4. Looks sleek, half glossy, and half matte. Picture shortly. Update 11: They are talking about media services, such as Music Unlimited and Sony Pictures that will be available to the PS4. Update 12: Video Unlimited and Music Unlimited will be available on day 1. Update 13: Redbox unlimited will be available on PS3 and PS Vita soon, as well as some Pay-Per-View items. Flixster will be also available soon. Update 14: PS4 exclusive IP being shown by Sony Santa Monica. Update 15: Looks like a steampunk type of game. Stupid choppy stream!!! Update 17: Updates the games they showcased back in Feb. Killzone looks damn amazing. GT6 looks even more amazing, and InFamous second son also. Update 18: Killzone and anther title (did not understand) will be released at launch, InFamous in Feb. of 2014. Update 19: Realtime trailer – Dark Sorcerer. Looks so goood. Update 20: Dark Sorcerer trailer was hilarious. Update 21: Super Giant Games revealing their new game for the PS4-‘Transistor. Update 22: They are showing off some Indy games. Update 23: Oddworld makes a come back!!!!! Update 24: Square Enix showing off FF Versus Trailer. No new news though. Update 25: Now I am confused, was that FF XIII Versus or FF XV. And they just showed Kingdom Hearts 3. Fan-rejoice! available for PS4. FF XIV will be a PS4 and PS3 exclusives. Update 26: UBIsoft showing off new Assassins Creed game-play footage. Ship warfare…! Update 27: Watchdogs Demo now. Update 28: No Disc restrictions! It’s pretty much the opposite of XBox One. Basically what you can do with PS3 will be the same as PS4. Update 29: No required internet connection! Update 30: Destiny gamepay demo shown. Looks damn amazing. 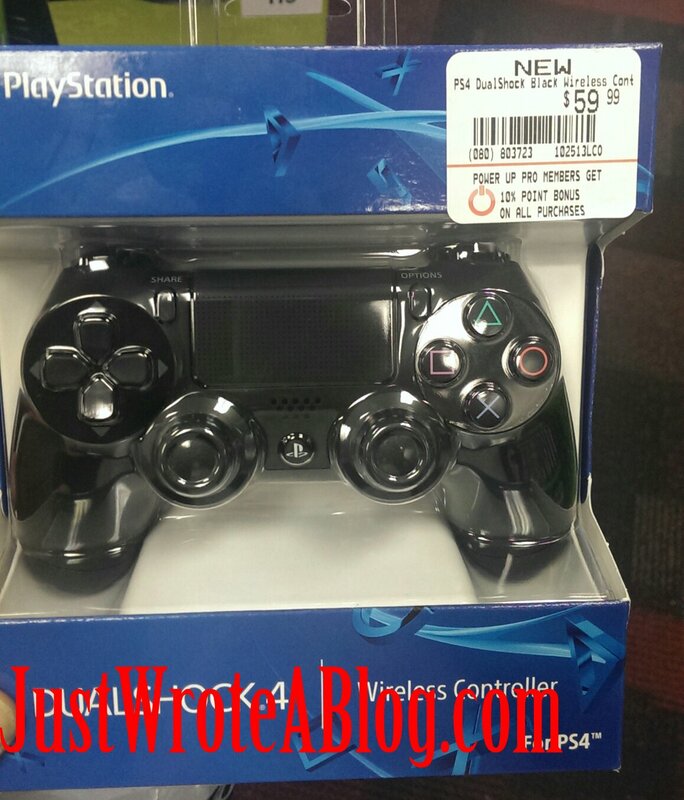 Update 31: PS4 will be available for $399.00 !!!! Coming out this holiday season. No real date yet. Final Update: Sony killed it with their press conference. Basically they are offering gamers a REAL gaming machine, one that can be used with out any hassles of being connected online and you can actually do what you want with the games you purchased, not just permission to use on your system. The games they showcased looked great, but with the choppy stream, I have to re-watch them all on the you tubes. Price point is 100 less than XB1, and the system design itself looks a bit better than the rectangular box that Microsoft has. Sony will be having my money on release date. Thank you Sony for giving us what WE the gamers want. 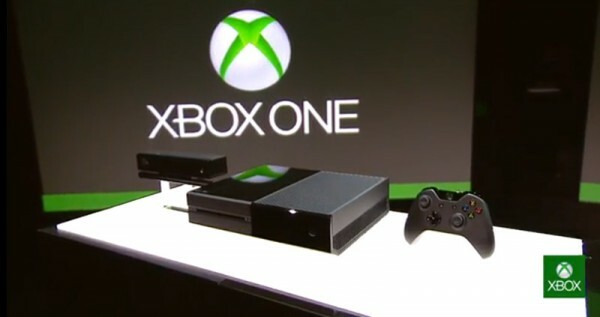 Microsoft announced it’s next console at a press event earlier today. I’ve been sort of following it through out the day, grabbing little tid bits here and there . From what I gather, it looks like it will be more than a gaming machine, it will be an all in one media type hub. It’s pretty much made to look to sit right next to your cable box and make it not so stand off-ish. I am not too crazy on the looks, but at the same time I don’t mind it. It’s made to be one with your home entertainment center, and it wont stick out like a sore thumb. Microsoft also announced a new Kinect to go along with the XB1, and you cannot have an XB1 without a Kinect since it sort of needs it. Don’t like the fact that you are tied to the Kinect, but I guess you can view it as having a Wii Motion Sensor but beefed up. It’s another thing that will break, and in my mind, can be avoided, but somehow, you need a Kinect for the XB1 to work. The controller looks about the same as the old XB360’s. 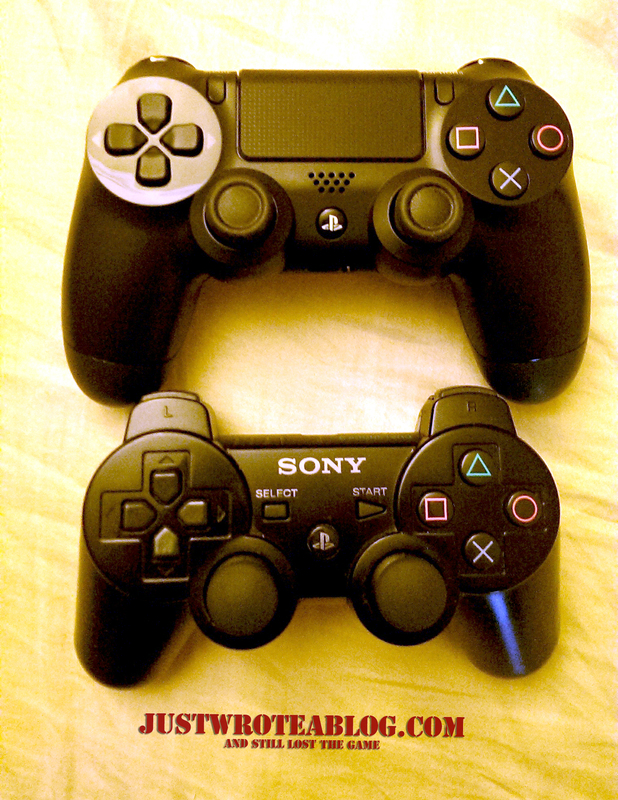 Some changes of course, but overall, like the PS4, it retains that shape we all are used to already. Hardware specs wise, it seems to be on par with the PS4. Both are running AMD chips on x86 architecture, both will have 8 GB of RAM (though PS4 will use GDDR5 as opposed to DDR3 on the XB1), DX 11.1 graphics capabilities, 500 GB of storage and a bevy of wireless signals, and USB 3 ports. It will be able to support 4k also. No real details on what the hardware can do as of yet. They did show off some trailers, which look pretty impressive, but for some reason it didn’t have the same ‘oomph’ that the PS4 ones did. But this was a fairly short event, so I’ll hold my reservations on that for now. To be honest, I’m not as wowed with this. It may very well blow my socks off later on, but as of now, I am putting my money on Ps4 first. The tied to Kinect feature was a bit of a let down for me, but other than that, it looks like it’s going to be a powerhouse of a unit. It’s up to the developers to really tie all what it can offer together. I am excited to see what can be done with this and the PS4. Hardware specs wise, both seem to be going at it neck and neck, and it will be exciting to see what sort of edge each machine can offer to the gamers. Not all that media stuff, but on the games itself. I couldn’t care less if it can handle Netflix and what not, but I want to see what it will be able to offer to us, the gamers, on the gaming side of things. I need to do some more reading on this, and digest all the info that’s been outed. Update’s to follow. PS4 Tease update – Someone put the puzzle together. Someone from Reddit pieced it together. looks PS3 ish. I kind of like the minimalist design. Who knows how close this is to the final product.